You get a door installed but now you must decide between consumer grade smart locks vs business grade locks. The latter are typically electronically wired with low voltage cabling, built for frequent use, endure a certain force and come with advanced fire ratings and certificates. - Fail safe: When activated power is taken away from the lock and the lock unlocks. - Fail secure: When activated power is transmitted to the lock and the lock unlocks. Depending on your preference, you'll need to decide if doors should remain locked or unlocked during emergencies, like power outages. 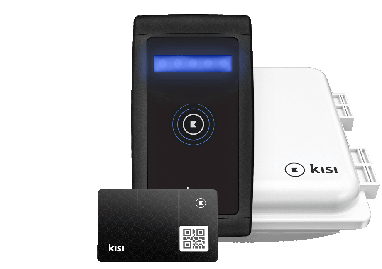 Any electronic lock is compatible with Kisi. 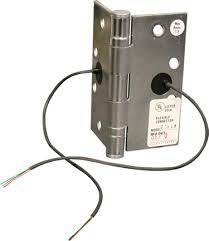 HES 1006 industrial electric strike / heavy duty latch is a common electric strike combined with Kisi access control systems. Kisi's opinion: Electric door strikes are probably the default option for metal or wood doors. 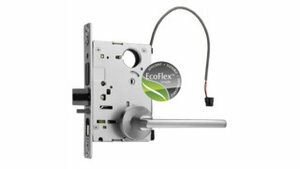 They are also typically the most affordable option in terms of door security hardware. See how we compare against other commercial smart locks. Get Kisi for your electric strikes here. Kisi recommends the M400 Schlage Lock. Magnetic locks might be the standard for the modern office. The simple reason: Many architects go with elegant glass doors which are in return not compatible with physical locks. To get around that "little" problem magnetic locks have been developed. They differentiate by how much force they can withhold, e.g. standards are 600lb lock while if you have a bigger door you might choose a lock that holds 1200lb. 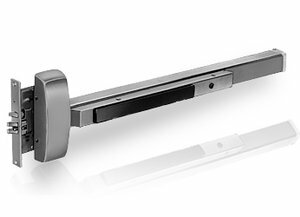 Kisi's opinion: Magnetic locks are widely used and facilitate a great office atmosphere because they are used with glass doors. Be aware of motion sensors and backup batteries that might be required for the install- definitely not the cheapest option! Get Kisi for your magnetic locks here. 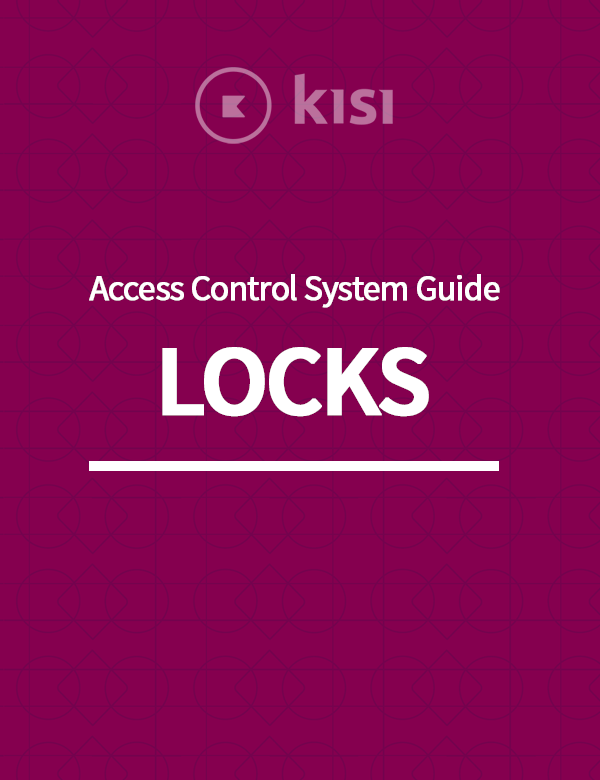 Discover what makes Kisi the most advanced cloud access control solution. Electrified pushbars are typically used to comply with fire code. You can unlock the door from outside and it's locked by default. But in case of fire there can't be anything electric or mechanic hindering a fast exit from the building. That's why in some cases or some laws require the use of push-bars. You'll often see those on side entrance doors of street facing doors in large buildings. When there is a fire, people run down the staircase and push the bar to get out quick. There are conversion kits to convert an analog pushbar to an electrified version. 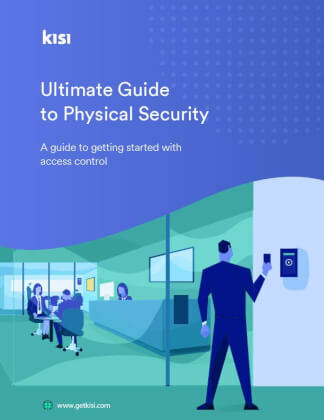 Kisi's opinion: Electrified pushbars are a great hybrid for when fire code is required but you want to have a modern access control system connected to that door as well. 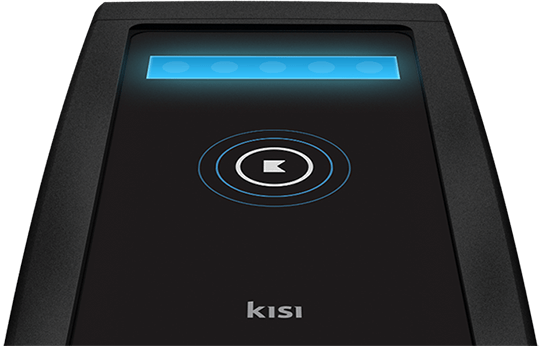 Get Kisi for your push/exit bars here. Kisi recommends the Schlage L Series Mortise Lock. Wired mortise locks look almost like a regular lock; however, the only difference is there's a power cable connecting the lock with the power supply. The tricky part about wired mortise locks is that the wire runs through the door itself and is wired back to the main wall. There are two installation options for mortise locks—electrified door hinges or on-wall cabling. Kisi's opinion: A wired mortise lock is definitely the most elegant, since many architectural designs and styles are possible. The only problem: It doesn't work with glass doors! Get Kisi for your mortise locks here. Fail-safe vs fail-secure: Find out which one is more suitable for your space. Get featured on the blog and tell us your unique story. Get the full guide and other great security content from Kisi.